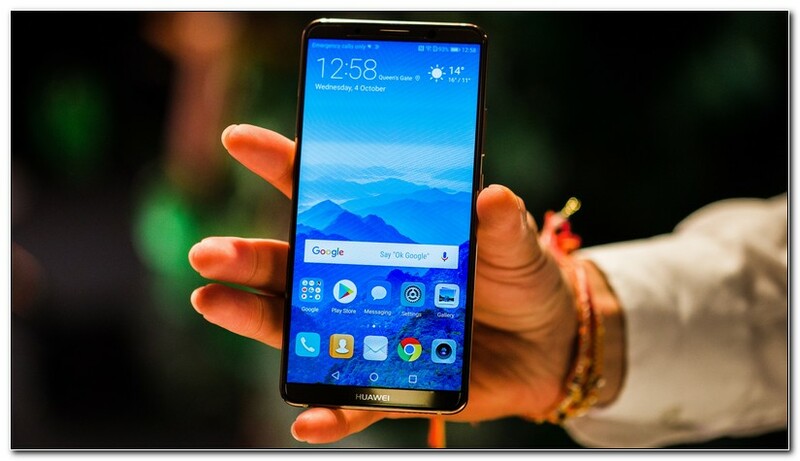 The best phone you've never heard of is the phone that was supposed to make Huawei a household name in the United States. With an AT&T logo on its back, maybe a Verizon one later on, and a prominent place on store shelves. But while that timeline may be playing out in some mirror universe, back in reality, it's not happening. Thanks to the last-minute collapse of a deal, this device is stuck in the same no carrier purgatory that relegated its predecessors to North American footnotes. The good news is that you'll still be able to buy it unlocked in the States. The bad news for Huawei is that if you do, you'll probably be one of the few. I've been carrying the Mate 10 Pro on and off for about two months, and each time I pick it up, I'm impressed all over again. This hardware is the furthest thing possible from the dull, aluminum airplane wings Huawei used to turn out. While it's more fragile and smudge-prone as a result, I do think that to compete these days, you almost need to build a phone that walks the line between technology and jewelry. Well, the Mate 10 Pro absolutely nails that look and it backs it up with water and dust resistance and some usability winds to boot. The fingerprint sensor is easy to find and probably the fastest I've ever used, the dual speaker system packs enough pipes to double as a hotel room boombox, and you can basically leave it playing all day long. Yep! What do you know? Pairing a 4,000 milliamp hour battery with some homegrown silicon and then running a strict background process babysitter gives this phone ridiculous endurance. On a typical day, I use my smartphone very heavily and with this one, I usually go to bed with about 60% battery left after 16 hours. On a really busy day at CES, I once got it down by 30% by five p.m. That longevity basically means the Mate 10 Pro is its own battery pack. It can even charge other devices through its USB port. If you're the type of person who needs outlet independence above all else, shortlist this phone right now. Oh, and by the by, I'm also giving one away. Stick around to the end of the video for details. But that endurance doesn't mean I'm gonna make this my new daily driver, and the single biggest reason for that is the same one that always spoils Huawei phones for me, the software. Look, it's not just that the launcher is a transparent clone of iOS. I really wouldn't mind that if it wasn't so hard to change the launcher and keep it working well. And even if you're successful with that, you still have to deal with a bunch of subpar stuff. Take that power monitor. Getting a notification that tells you a background app is wasting power when you're not using it, that's a great idea. But getting that alert for an app that you're actively using is annoying. And making that notification impossible to dismiss is ridiculous! Speaking of notifications, you can't swipe to expand them on the lock screen, which is a nice time-saver that stock Android Oreo includes. This phone also changes the quick camera shortcut from a double-click of the power key to a double-click of the volume slider, which is fine unless you often listen to music or podcasts, at which point it's disabled. And I've also had some random Bluetooth headset issues with the Mate 10 Pro that I haven't on other phones, audio dropouts and shortcut buttons not working. Look, there's a lot that's bad about EMUI but it all boils down to a simple point. If you're gonna make such an effort to renovate the interface, it seems to me that you should deliver a better experience than, or at least as good an experience as, stock Android. And this doesn't. Let's talk about what the Mate 10 Pro does well. This is a very fast phone from moment to moment and day to day. Even two months in, lag is almost nonexistent. Phone calls and reception on T-Mobile US are both very good, though I should point out that this is the global model, so I didn't get the full range of LTE speeds the US models should achieve. Also, some features that I first used on Huawei phones are still here and still useful. Among them, knocking on the screen to take a screenshot, using the fingerprint sensor as a notification shade shortcut, cloning an app so you can use it with multiple logins, and smart remote, which takes advantage of the fact that this is one of the few phones left with a built-in IR transmitter. As for the easy projection feature that lets the phone stand in for your computer if you've got the right cable, well, I didn't really use it much at all since that cable doesn't come in the box. My favorite part of the Mate 10 Pro is the camera system around back. Full disclosure, during CES, Huawei took a few of us up for a helicopter tour of the Grand Canyon so we could shoot with this thing. And yes, that's a vista that even a bad camera would have a hard time screwing up. But it wasn't being bamboozled by booze in the colossal chasm that won me over, it was the black and white photography I'd already been shooting for weeks at that point. See, that second sensor on the back is monochrome and its existence has reinvigorated my teenage, emo self in the way only a black and white camera can. Add in the bucket full of options and shooting modes you get and it's easy to forgive the odd downside, like the lack of automatic HDR. Another surprise came when shooting video, I was filming in low light alongside my usual go-to, the Pixel 2XL, and the Mate 10 Pro kicked out footage that had significantly less noise and stabilization that was almost as good. Oh, and also Huawei's been talking a big game about its neural processing unit on its custom processor. Well, one of the big ways the company has showcased that is these automatic scene detection modes. They tune the color profile of your photos based on what the phone thinks it's looking at. Cool, but I didn't use these almost at all. I liked how easy it was to go into manual mode so I used that a lot. I also used the custom Leica color profiles to punch up the picture a bit. Tell you what, why don't you be the judge? Take in a few more shots while I get ready to take us out. (light electronic music) It's tempting to assign a kind of honorary underdog status to Huawei in this circumstance, and the company clearly was not expecting this carrier deal to fall apart, days or even hours before this phone's US announcement. And it's also tempting to kind of shake up the good to bad balance here and conclude that, yeah, $799 is a fair price for everything the Mate 10 Pro gives you. Those who are really in love with those cameras or desperate for something that's not just another Samsung, might indeed find this phone a good pick. But here's the thing about Samsung, its Galaxy S8 Plus brings expandable storage, an equally great camera, a much better display, and extras like wireless charging for around the same price or less these days. On the other side, for around $850 dollars, you get the Pixel 2XL with a smarter camera on front and back, and stock Android software that isn't going out of its way to solve problems that no longer exist. On the global stage, Huawei is not an underdog, it's the world's second largest phone manufacturer. And frankly, I'm surprised that it decided to price this phone the way it did. The Mate 10 Pro is a beautiful, capable device with some compelling features. But at $800 bucks, there are just too many more competitive options on the market. 0 Response to "Huawei Mate 10 Pro Review"